Just letting you know that we will be closed for a few weeks (August 10th to the 28th). Our staff are having a well deserved holiday. We will still be checking emails, and phone messages, so please feel free to contact us. Our web-shop is always open 24/7 so you can still place your orders and we will get them shipped to you straight away when we return. Thanks. 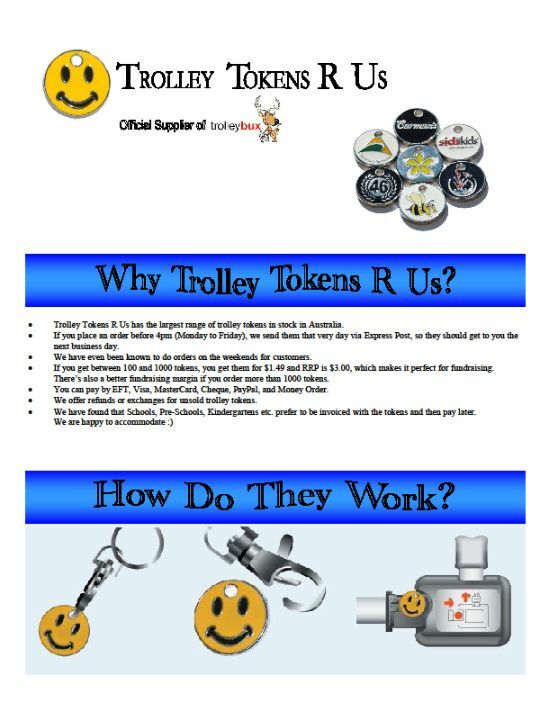 www.trolleytokensrus.com.au/shop Thanks, Doug & Sonja Posted Sunday 26th of July 2015. Updated Saturday 22nd of Aug 2015. 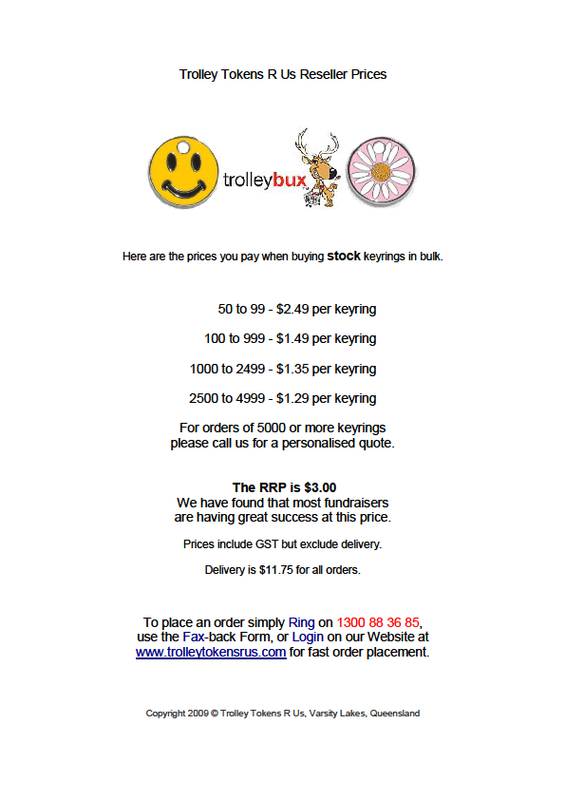 Many organisations have found that trolleybux keyrings are ideal for fundraising. you can have them personalised. 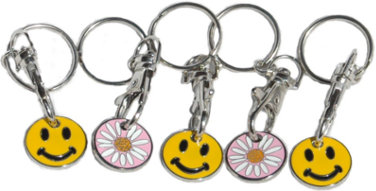 Stock Trolley Token keyrings are the perfect retail friendly product and have already helped raise millions for charities. 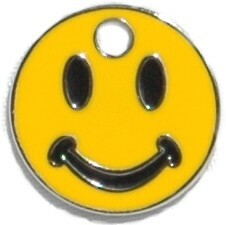 And there are now 25 designs to pick and choose from! 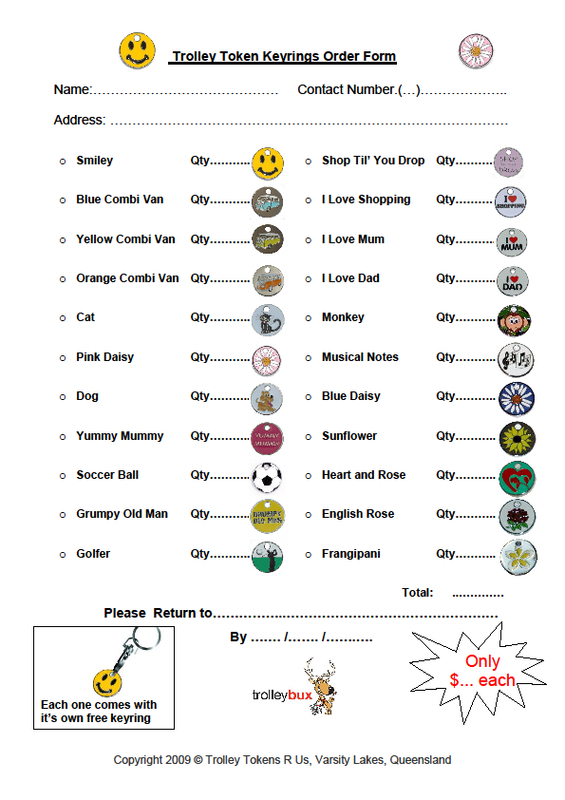 There are forms that you can download to help you with your fundraising..
We have found that Kindergartens, Child Care Centres, Clubs and Groups like using these forms to hand out to parents, family and friends. These can be given to the students to take home to their parents, family and friends. Here are the prices you pay for larger orders. 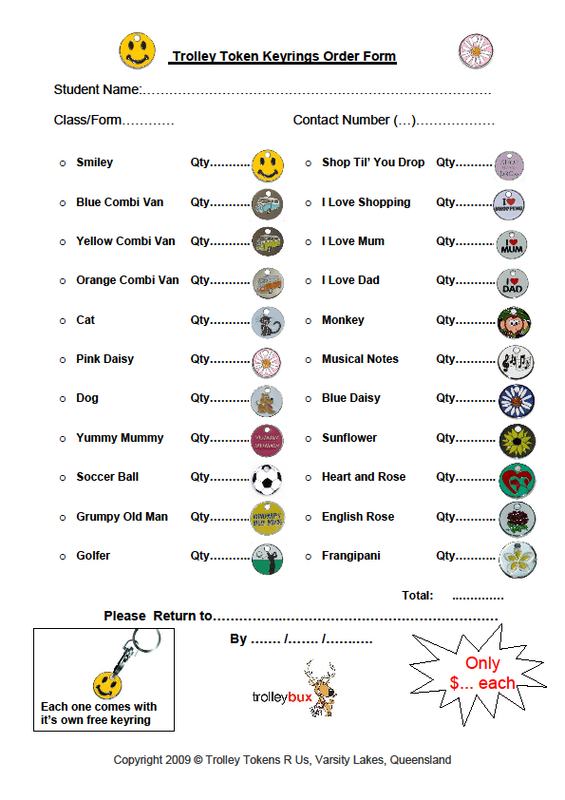 It is a 2 page PDF with both the Stock prices and the prices for ordering Personalised Trolley Token keyrings. Would you like something to put on the noticeboard or to show to others? 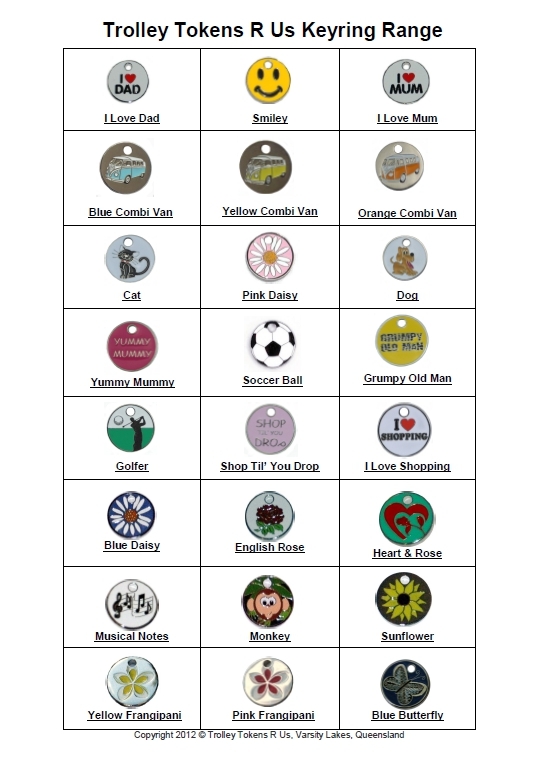 This is the complete trolleybux range of all 25 designs. For your own copy of our brochure click here... *You may want to right click and choose "Save As"
please let us know and we will be more than happy to do so for you.